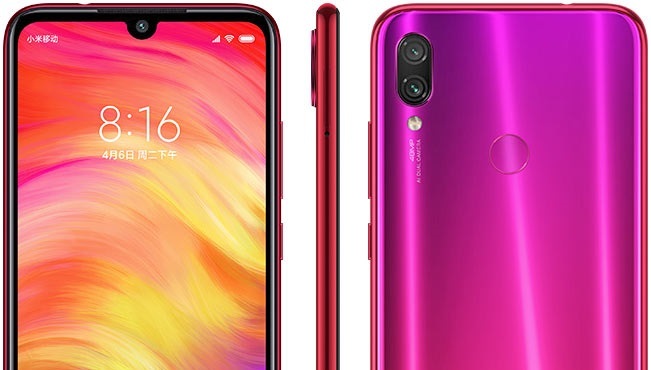 Xiaomi will soon release one its biggest and most powerful phones in the Redmi Note 7. If you’ve been waiting for more screen real estate on your next device, this new version has that in spades with a whopping 6.3 inches of screen. While some devices have larger screens without the resolution to back it up, that’s not a problem here thanks to the 2 340 x 1 080 FHD+ available. Xiaomi has taken a different approach with the notch here. While some phones have been making this feature larger and larger for some reason, the one on the Redmi Note 7’s screen is minuscule and houses the 13MP front camera for when you need extremely high definition selfies. If you lean more towards using the back cameras there is a pair of them at 48 MP and 5 MP. Yes, you read that right, 48 megapixels on a phone. That isn’t the only big number you’ll find packed in here. There’s 6GB of RAM and 64GB of internal memory to keep all those highly detailed pictures safe. If you need more space down the line, this device does have space for micro SD storage, or a second SIM card. A Qualcomm Snapdragon 660 Octa Core at 2.2GHz powers everything here and should keep many apps running smoothly. With the larger screen you could even run two intensive apps side by side. If you’ve never scrolled aimlessly through Instagram while also watching a video on YouTube, you should give it a try. All of this is wrapped in an elegant body you can have in trio of colours: gold, blue and black. While gold can be ostentatious on most devices, the shade on the Redmi Note 7 has a pink hue to it which looks great. You can see it in the header image above. While Xiaomi does have an official presence in South Africa, there’s no guarantee that this model of phone will be available on South African shores or at a reasonable price. If you’d like to get yourself a Redmi Note 7 you can do so from Gearbest. Head on over to the landing page for this device and click on the “Arrival Notice” button. Doing so, and leaving your email address, means that you’ll be first to know when the device is available for purchase. Aside from the availability and affordability options Gearbest offers, this version of the Redmi Note 7 – much like many of the mobile devices the online retailer offers – is unlocked for worldwide use. This means that you can use it almost anywhere on most networks, meaning that you have a device that you can use should you go overseas for work, travel or if you decide to immigrate. Hypertext creates relevant business and consumer technology content for our readers. We live at the crossroads of invention, culture, mobile, 3D printing and more, where the greatest ideas of today inspire the innovations of tomorrow.